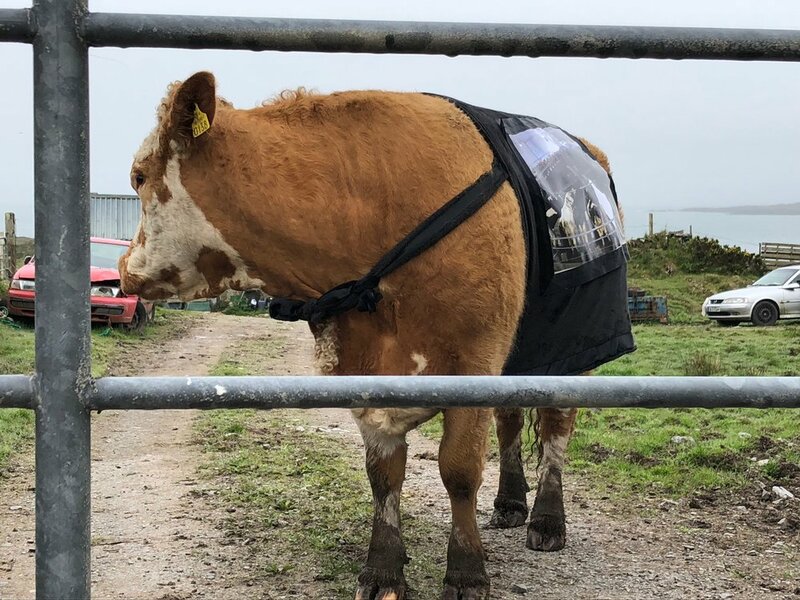 Visiting the B.A in Visual Art on Sherkin Island was one of the most inspiring educational contexts I have ever encountered. The level of critical thinking and rigour to which the students apply themselves in this remote geographical place really calls attention to the fundamental task of contemporary pedagogy. The localisation of critical thinking and the investment of practice in the community allows for a deeper thinking and an expansion of the imagination. I find it quite pleasant to pass from one atmosphere to another through crossing a border. We need to put an end to the idea of a border that defends and prevents. Borders must be permeable; they must not be weapons against migration or immigration processes. At a time of increasing nationalism and cultural insularity, the need to refresh our understanding of ‘relation’ in the world is more urgent than ever. What is an Island? is a durational artistic research event that explores 'relational form' through the concept of archipelagic thinking and collaborative arts practice. Facilitated by a unique pedagogical programme on a specially commissioned ferry, What is an Island? travels the West Cork archipelago on a single summer day, in search of a deeper connection between islanders, artists and the world. What is an Island? 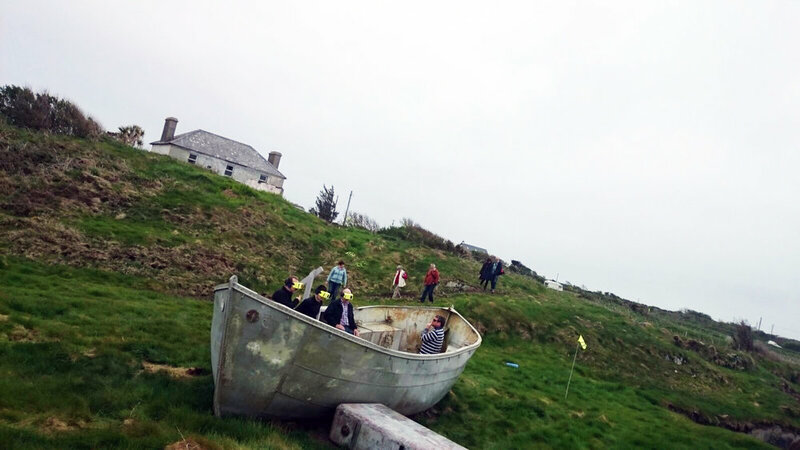 is developed by the BAVA on Sherkin Island (DSCA/DIT/GradCAM) in partnership with CREATE: National Development Agency for Collaborative Arts and Uillinn: West Cork Arts Centre. 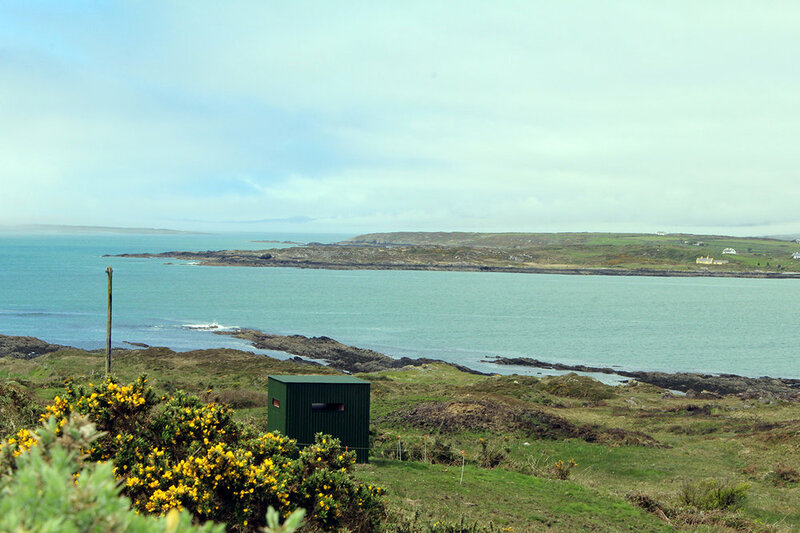 Responding to the question “What is an island?”, three artists were commissioned to develop work on one of three different islands in the West Cork Archipelago, they are: Sherkin Island (Mona O'Driscoll), Heir Island (Tess Leak) and Long Island (Sheelagh Broderick/art manoeuvres). Participants will engage with the different art projects on each of the islands throughout the day. Moving between land and sea, sea and land, a unique pedagogical programme: The Tidalectic Lecture Programme, has been designed for the ferry, to address the crises at the heart of the question: “What is an island?”. 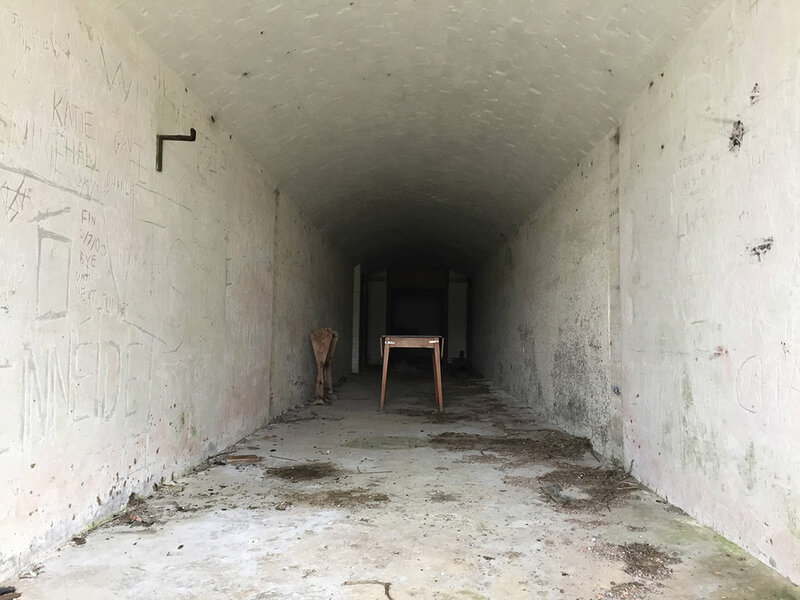 I was fortunate enough to be invited to Sherkin this spring to deliver a lecture and share my curatorial and research interests to a wide group of artists from the surrounding area. What was most striking about this experience was the commitment and enthusiasm the students have for an engagement with the wider art world. The graduating students are deeply engaged in the local context; as well as the ecology, community, and future sustainability of the island. The pedagogical structure of BAVA is wonderfully attuned with the rhythms of island life. Stepping into its base at the community centre on Sherkin Island you immediately encounter a collective energy, imagination and intellectual rigor, which both shapes and informs the programme. It’s unique, not least for its setting, but for the depth of engagement by students and the cross-sectoral breadth and ambition of its pedagogical enquiries. The learning context of the BAVA on Sherkin, and the students working there, impressed me as uniquely rigorous and engaged. The island does not operate as a place for student artists to retreat to – it is a site of direct encounter and heightened exposure, of connection rather than isolation. Working through how to make art from this place in the world, to think and expand outwards in relation with others, is a challenge that is producing artwork of great integrity and urgency. 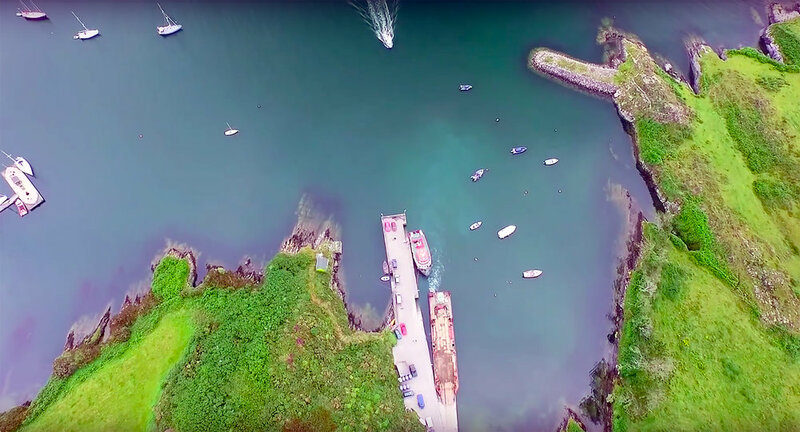 Sherkin Island...the ancestral home of the O’Driscoll clan, is the most accessible island in Ireland – only ten minutes by ferry from the small fishing port of Baltimore, Co.Cork. The island boasts a wonderful array of landscapes, Atlantic views from the hilltops, fuchsia-scented lanes and the finest sandy beaches. The Abbey, located near the pier was built in 1460 by Fineen O’Driscoll and is a fine example of medieval monastic architecture. Originally from Belfast, N.Ireland, Glenn Loughran has studied Art and Design at The Ulster University (1991), Dun Laoghaire College of Art Design Technology (Diploma / 2002), Fine Art Painting at the National College of Art and Design (B.A / 2003), Sculpture at N.C.A.D (M.A / 2005), and a doctorate at the N.C.A.D/Graduate School Of Creative Arts and Media (GradCAM) (2012). For over twenty years he has worked as an adult educator within the context of informal education and as artist working within the framework of Participatory Art. A Dublin-based artist, Jesse’s practice crosses the media of film, performance and installation. Often working through collaborative structures, she explores how historical instances of communal culture may hold resonance in our current social and political experiences. Jones’ practice is multi-platform, working in film installation, performance and sculpture. Her recent work proposes a re-imagining of the relationship between the Law and the body through speculative feminism. Using a form of expanded cinema she explores magical counter-narratives to the State drawn from suppressed archetypes and myth. She represented Ireland at the Venice Biennale 2017. 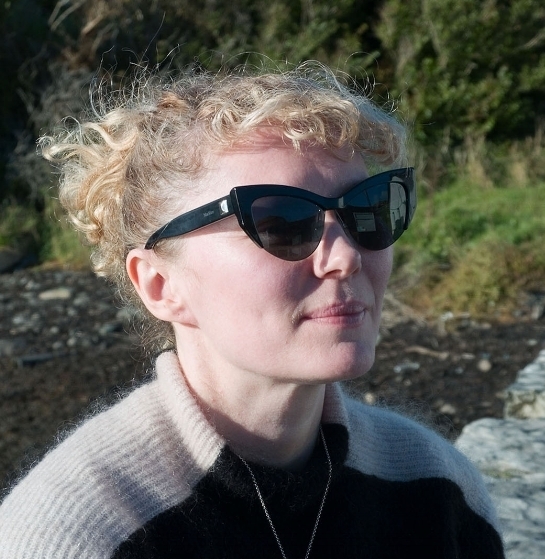 Born in West Cork Majella studied at Limerick School of Art and Design and now lives and works on Sherkin Island. Majella is a local artist and was one of the key people involved in the BAVA Pilot Programme from 1999 to 2002. Majella is currently a Board Member of West Cork Arts Centre, Skibbereen and was the Chairperson of the Board from 2003 to 2009 when she steered the building development project as a member of the New Building Project Development Group. Dr. EL (Emily Lauren) Putnam is a visual artist, scholar, and writer working predominately in performance art, video, sound, and interactive media. Her work draws from multiple themes and sources, including explorations of gender and sexuality, play, materialism, and the study of place, which she investigates through personal and cultural lenses. Her writing and research focuses on continental aesthetic philosophy, performance studies, digital studies, feminist theory, and examining the influence of neoliberalism on artistic production. The remote nature of the course places an emphasis on the use of new technologies and platforms to expand student engagement with the content of the course. Many of the lectures and workshops are performed through the internet and utilise digital technologies to support blended pedagogical techniques. The students have worked with online video editing tools such as Mozilla Firefox's POPCORN platform to create video essays for a first year Critical Theory module, and are currently using the SWIVL classroom robot to gain a more fluid representation of the lectures available in Grangegorman. Future projects will see the introduction of a module on Second Life within the context of a module on Art & Environment and the expanded use of e-portfolios throughout the course. 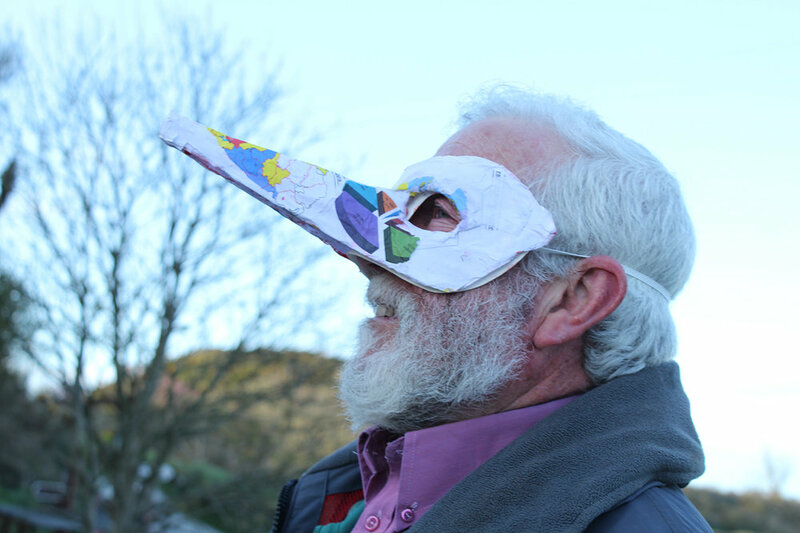 Uillinn: West Cork Arts Centre has been a partner with the B.A.V.A since its inception, and continues to play a pivotal role in its student community. Designed as a purpose-built building for the arts in West Cork, Uillinn comprises two contemporary galleries, three artists' studios, a work space, a multi-purpose dance, performance, film, lecture space,café, courtyard, office space. Established in 1985 in Skibbereen, Co. Cork. It is a publicly funded arts facility that creates opportunities for the people of West Cork to have access to, and engagement with, local and global arts practice of excellence. It supports a multi-disciplinary arts programme with a focus on contemporary visual art . The Education and Community Programme provides services on site at West Cork Arts Centre for artists, children, young people, adults, families, older people and people with disabilities. The Centre also provides outreach services in schools, hospitals, day care centres, youth projects and with active retirement groups and community groups throughout the West Cork region. TITLE: "THE BARRY'S VAN TOUR"
Sherkin Island Development Society (SIDS)is one of the main partners for the BAVA and employs 3 staff members to help deliver the programme on Sherkin. SIDS members support the programme by overseeing the financial running of the programme and voluntarily giving their time and space for final year exhibitions. SIDS is responsible to the Department of Arts Heritage, Regional, Rural and Gaeltacht Affairs, Cork County Council and its members.Founded in 1983 as Sherkin Island Community Development Association, was registered in 1994 as a co-operative. Its main objective is, to promote and aid educational, economic, social and cultural development for the community. From September 2012 the course has been jointly funded by Cork County Council and the Department of Arts Heritage, Regional, Rural and Gaeltacht Affairs formerly Arts Heritage and the Gaeltacht. The Department of Arts, Heritage, Regional, Rural and Gaeltacht Affairs oversees the protection and presentation of Ireland’s heritage and cultural assets and promotes long-term sustainable economic and social progress across rural Ireland. Their goals are to promote and protect Ireland’s heritage and culture, to advance the use of the Irish language, to advance economic and social progress in rural Ireland, to support the sustainable development of the islands and to develop cultural tourism. A central objective of this Department is to ensure that sustainable vibrant communities continue to live on the islands. Cork County Council is the authority responsible for local government in County Cork. As a county council, it is governed by the Local Government Act 2001. The council is responsible for housing and community, roads and transportation, urban planning and development, amenity and culture, and environment. The head of the council has the title of Mayor. The county administration is headed by a Chief Executive, Martin Riordan. Cork County Council support the islands through the West Cork Island Interagency. The BAVA programme ties in with the Islands Intergrated Development Strategy.